A crisp white shirt is a wardrobe staple and this beautifully tailored, honeycomb textured Marina Rinaldi version fits the bill perfectly. The lightweight fabric makes it an ideal piece for summer. 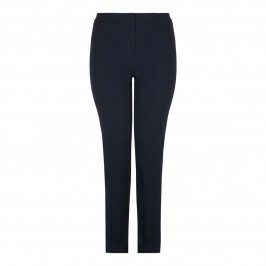 Pair with tailored trousers and heels for an effortlessly stylish daytime look. Textured white shirt. 95% Cotton, 5% Elastane. Fabric 2: 100% Cotton. Cold Hand Wash or Delicate Dry Clean.